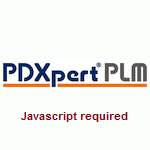 PDXpert software helps ensure that your design information is clear, concise and valid. It's simple to use, flexible to apply, and improves your product data's accessibility and security. PDXpert delivers a simple, complete PLM solution without the complexity — and expensive consultants — of other PLM software. PDXpert software reflects our extensive experience working with companies in a wide variety of industries. Tailor your system with highly configurable options, and even create your own item-level numbers, text, dates, checkboxes and more. Add custom import and export plug-ins, and create change forms, each with its own workflow and reviewer list. Choose a subscription or perpetual license, with full-function and read-only user accounts. Install PDXpert on-site or on your private cloud. PDXpert is designed to grow with your company. Engineering and production data isn't simply mission-critical — your company is your intellectual property. With PDXpert, your designs are reviewed, approved and secured according to your defined user permissions and change workflow. Install PDXpert on your local network, or use a private hosting service to share your data without public cloud risks. PDXpert wraps advanced security features — user accounts, connection encryption, Active Directory support, and more — into simple, set-it-and-go functions. Control your data, and reduce your data risk, with PDXpert software. See how easy PLM can be! Brammo™ is a trademark of Brammo, Inc. littleBits® and the littleBits logo are registered trademarks of littleBits Electronics, Inc. Lockheed Martin® is a registered trademark of Lockheed Martin Corporation. Revolabs™ is a trademark of Revolabs, Inc. All rights are reserved by the trademark owners.